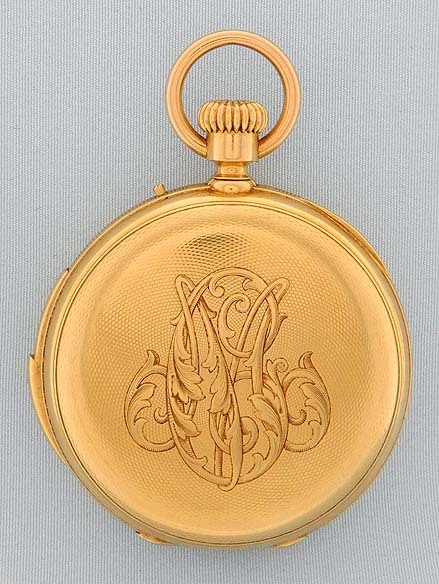 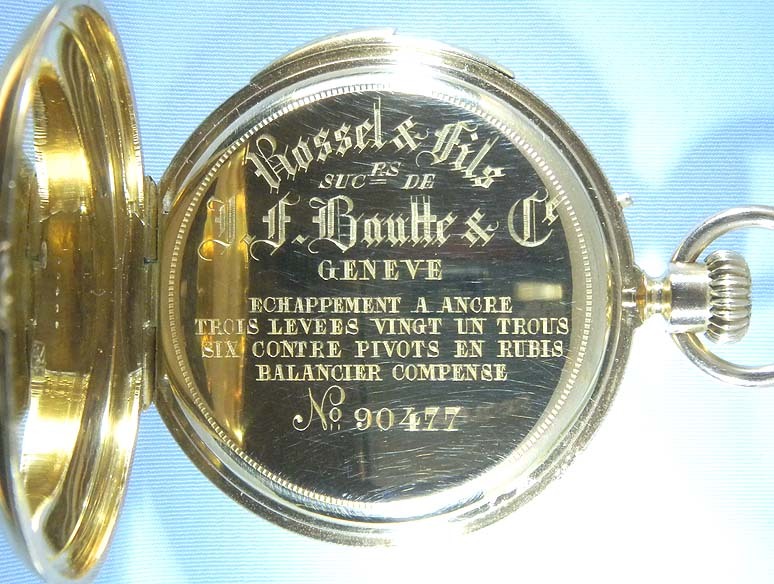 Fine Swiss 18K gold and enamel dimi-hunter quarter repeater antique pocket watch by Russel, Geneva, circa 1880. 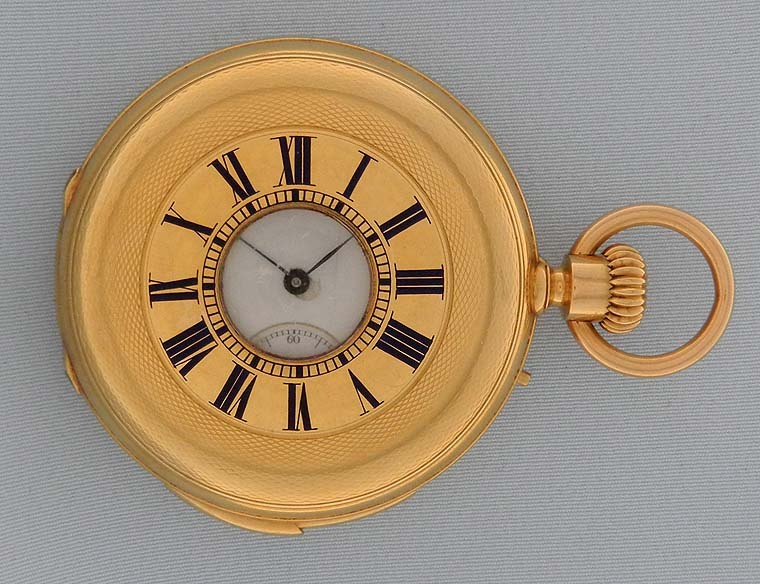 Substantial case with edge wear to the engine turning and setting button and repeater slide in the band. 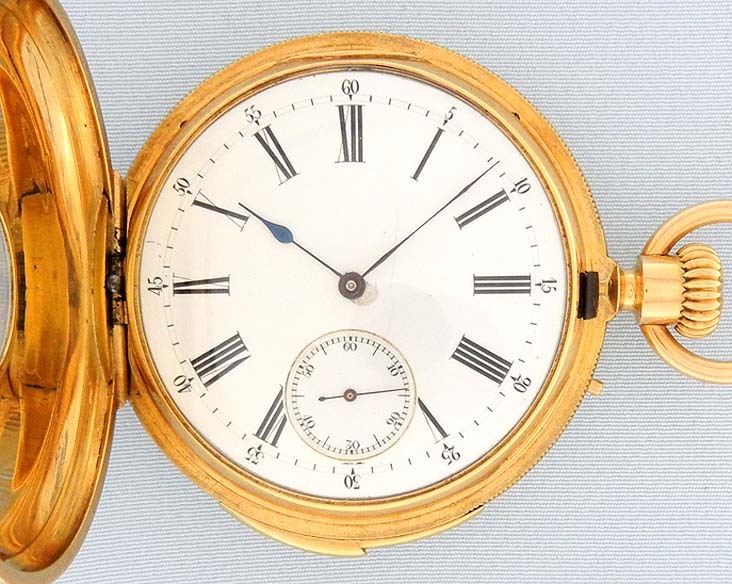 White enamel dial (center hole repair) with blued steel hands. 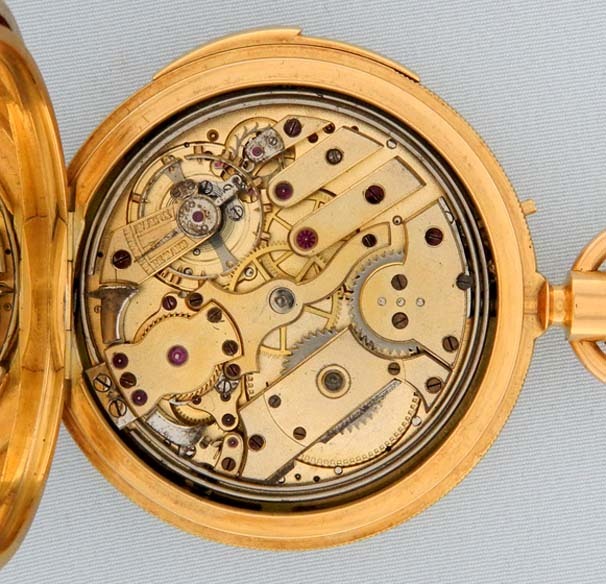 Fine 31 jewel frosted gilt movement (light oxidation) with wold tooth winding, jeweled to the hammers.